Synopsis : It is late summer in London. Leonard Deppling returns to the capital from Scotland, where he has spent the past year nursing his dying father. Missing from the funeral was his older brother William, who lives in the north of the city with his wife and three young sons. Leonard is alone, and rootless - separated from his partner, and on an extended sabbatical from work. He moves in with William, hoping to renew their friendship, and to unite their now diminished family. William is a former lecturer and activist - serious, defiantly unworldly and forever questioning - a man who believes that happiness and freedom come only from knowing oneself, and who spends his life examining the extent of his ignorance: running informal meetings with ex-students. Leonard realises he must drop his expectations about the norms of brotherhood and return to the 'island of understanding' the two have inhabited for so long. Yet for all his attempts at closeness, Leonard comes to share his late father's anxieties about the eccentricities of William's behaviour. But it seems William has already set his own fate in motion, when news comes of a young student who has followed one of his arguments to a shocking conclusion. Rather than submit, William embraces the danger in the only way he knows how - a decision which threatens to consume not only himself, but his entire family. 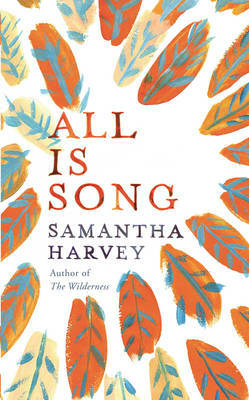 Set against the backdrop of tabloid frenzies and an escalating national crisis, "All Is Song" is a novel about filial and moral duty, and about the choice of questioning above conforming. It is a work of remarkable perception, intensity and resonance from one of Britain's most promising young writers.